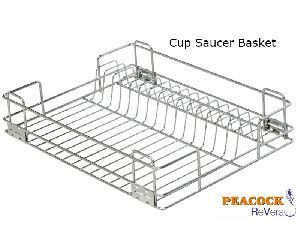 Modular Kitchen Basket Manufacturer In..
We supply top-quality Modular Kitchen Basket, which are available in various designs and sizes. 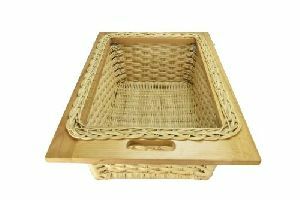 Our Modular Kitchen Basket is specially designed and has multiple compartments for different items, such as plates, spoons, bowls, etc. 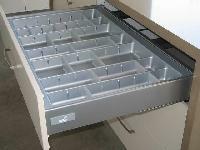 We make available, high-quality Modular Kitchen Baskets, which can be mounted on a wall and fixed inside a drawer too. 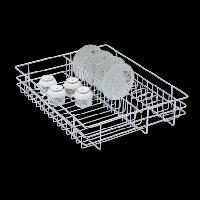 These Modular Kitchen Baskets are chrome plated which makes them resistant to chemicals. Your pantry in a drawing shelf.In our deep shelves near the stove you can keep everything you need to have close to hand when you're preparing food, such as tinned foods, cutlery, vegetables, utensils and many more.The drawing shelves help you to organise the contents simply so you can see them better. 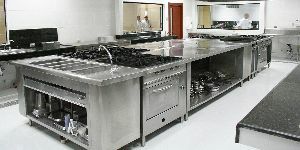 Ultrapure Technology & Appliances India..
We offer top-grade Modular Kitchen Baskets, which are made using prime-grade metals like aluminium, stainless steel, etc. 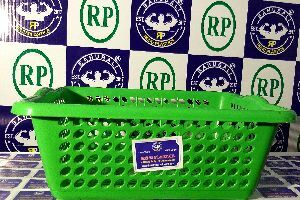 This Kitchen Basket can be used for storing different items, such as utensils, vegetables, crockery, etc. 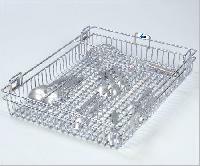 The Modular Kitchen Basket we supply is resistant to corrosion and chemicals, as the metals used for its production are chrome plated. 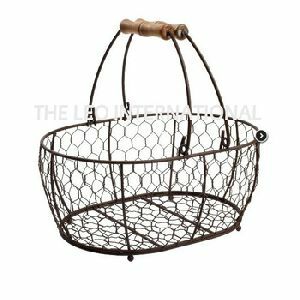 This Modular Kitchen Basket is available in different sizes and has various compartments for storing different types of utensils. 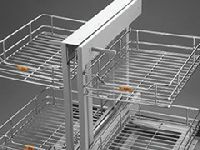 The Modular Kitchen Baskets, delivered by us, are known for their spacious design in which a good amount of stuff can be stored. 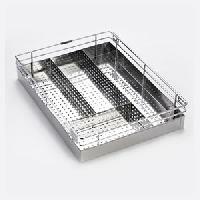 The metals used for manufacturing these Modular Kitchen Baskets are resistant to corrosion and chemicals. 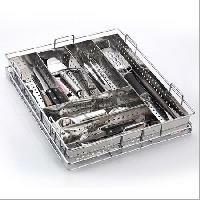 We make available, top-grade Modular kitchen basket, which are produced using metals like stainless steel, aluminium, etc. All these metals are finely finished and have high resistance to corrosion and chemicals. 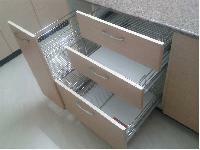 Our Modular Kitchen Baskets are available in different designs and sizes, which can be customized by the customer. 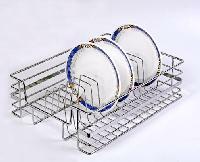 These Modular Kitchen Baskets have a great capacity and it has different compartments for different items like plates, bowls, spoons, etc. 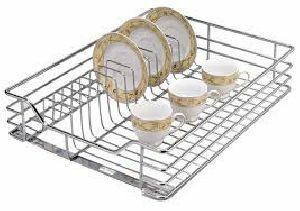 The Modular Kitchen Basket, supplied by us, is widely demanded because it has multiple compartments for keeping different utensils, such as spoons, plates, bowls, etc. 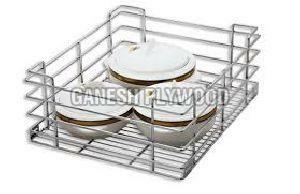 This Modular Kitchen Basket is resistant to corrosion and can be availed in different sizes. 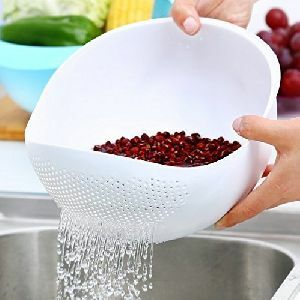 These Modular Kitchen Baskets are available in various sizes, such as 40x25x30 and it can be customized according to the customer’s requirements. 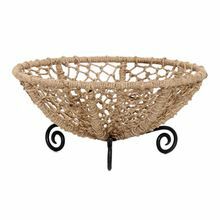 These Kitchen Baskets are used in various places, such as household, hotels, restaurants, etc. 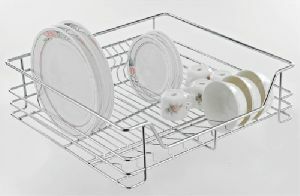 The Modular Kitchen Basket, delivered by us, is finely finished metals and has a lustrous surface. 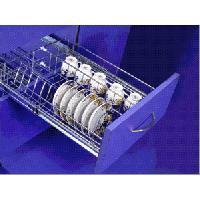 This Modular Kitchen Basket is light in weight and it can be fixed at the walls. 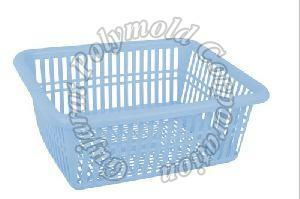 The size of these baskets depends on the customer’s requirements. 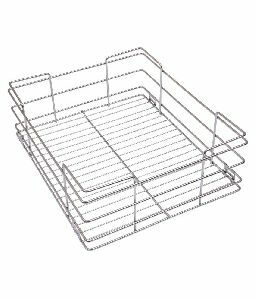 The Modular Kitchen Baskets we supply is renowned for its enticing design and has high resistance to corrosion and chemicals. 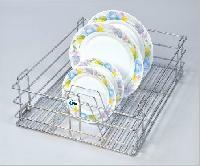 This Modular Kitchen Baskets is precisely built and has high structural strength. 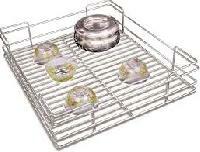 We are offering modular kitchen baskets. They come in various shape, length and sizes. They are laminated with brass. They can be laminated with upvc, pvc, etc. Crockery items can be safely put in them. These are also made in decorative designs. 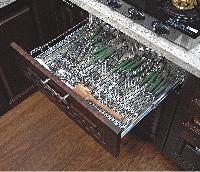 Even vegetable cutting utensils can be kept in them. They look designer because of their sophisticated designs. They also have designer handles. Size : 12.5 x 5.5"